So a fortress named "Soup" got to the moon? Waht? Just started playing Terraria again after a long time, a meteorite fell on a floating island on the first new playthrough I'm doing. It took me about 2 clicks with Google Chrome, the character is Blanc from Hyperdimension Neptunia. I see. Well, I don't have Chrome, and I'm not too interested in joining Google. God, I haven't been here in a long time. Hello! Droid15.24.3, TheQuietBisharp, FlyKip and 3 others like this. I just tried fighting Bowser X in Mario & Luigi: BiS at level 40, which went about as well as I expected. Bry-ccentric and ppowersteef like this. It was an awesome challenge. I didn't wanted to take the time to grind all the way to lvl 50. So I fought him at lvl 40. I managed to beat him though, but limited turns were the closest call. Playing Mario & Luigi: Bowser's Inside Story for the first time in about 5 years, I forgot just how good this game is. Red_Hokkaido, ppowersteef, MinerTurtle45 and 1 other person like this. The True Hero, Mamaluigi71 and Daikonradish like this. This is not a profile message. Nah, the answer is yes. PLOT TWIST! This IS a comment. Indeed, but what about Kola's paradoxical profile message? IS it even considered a profile message? This is not a status. I just spent all day completing the Alola Pokedex with my friend. Seeabass and TheQuietBisharp like this. I found a shiny Happiny and a shiny Eevee last night in Pokemon Moon! Keep trying man, you'll get one eventually. I only ever got 2 shinies in the wild before this in the 10 years I've played Pokemon. Now commences the 5 days of trying to avoid Sun and Moon spoilers because I live in Europe. InfinitySnail, Seeabass, Supreme Overlord Shadere and 8 others like this. I just got a shiny Protean Greninja through wonder trade in Pokemon Alpha Sapphire. Seeabass, Myu and Ori like this. 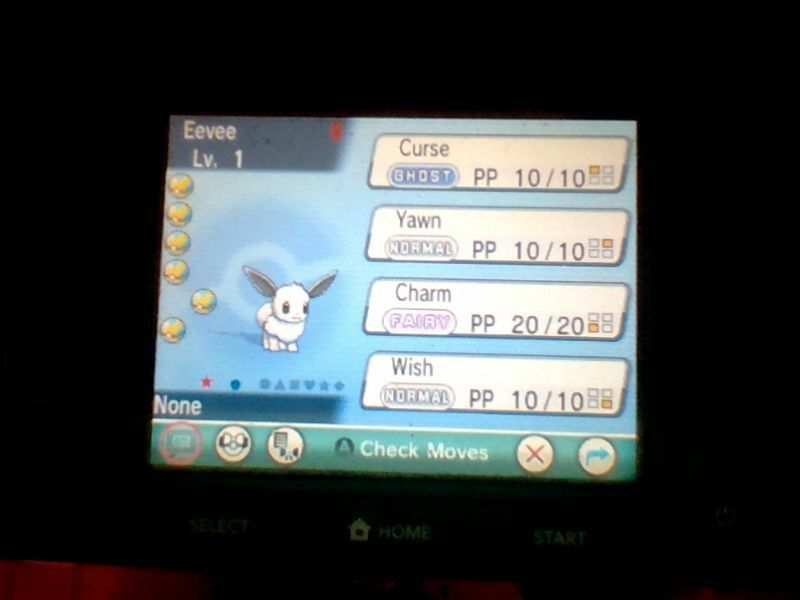 I got a hacked shiny Eevee from the Wonder Trade. It came from HGSS in a Master Ball of all things. This is not a thing that should be possible. Varler and XenoCat like this. Happy 2nd Birthday, Terraria Community Forums! I love your profile gif. Ok, that's all I have to say, g'bye!